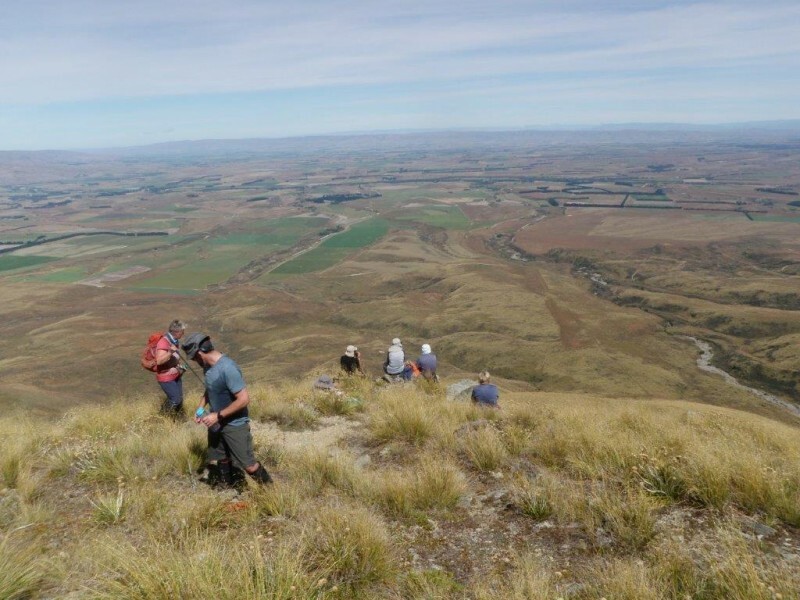 Two cars taking eight trampers arrived at the airstrip at the end of Mt Pisgah Road at 9.30am, after the 130km drive from Oamaru over the Pigroot. 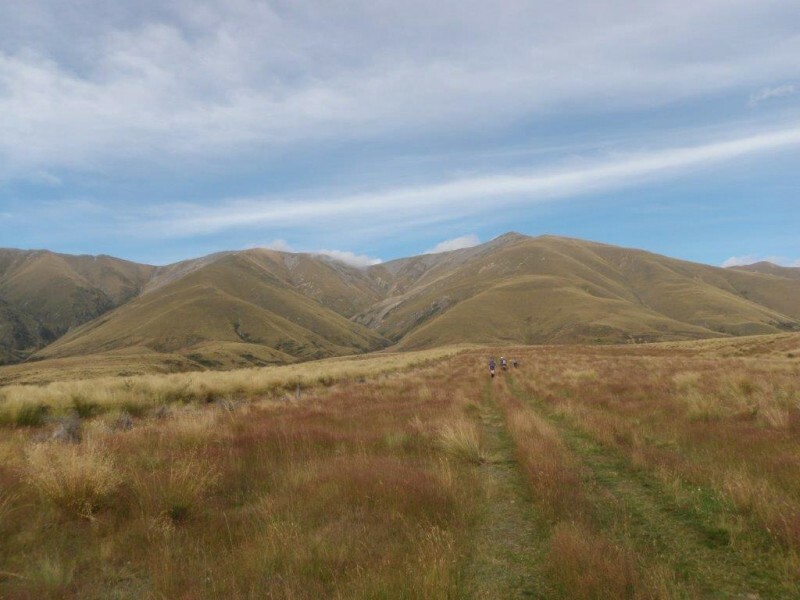 By 9.45 we were on the track, heading up the gently sloping flats to the base of Mount Pisgah which loomed challengingly ahead. It was then straight up the broad, tussocky spur. 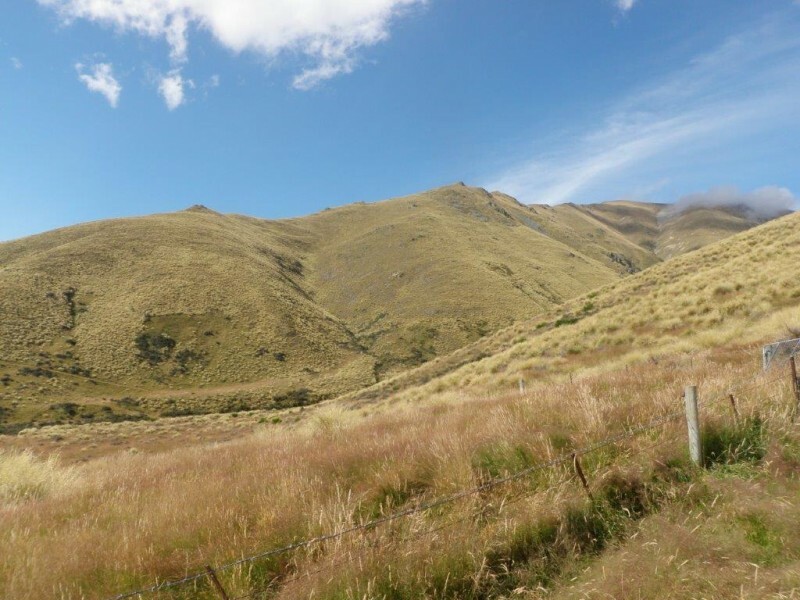 The weather was perfect – clear, sunny skies but with a light easterly breeze to provide some cooling. 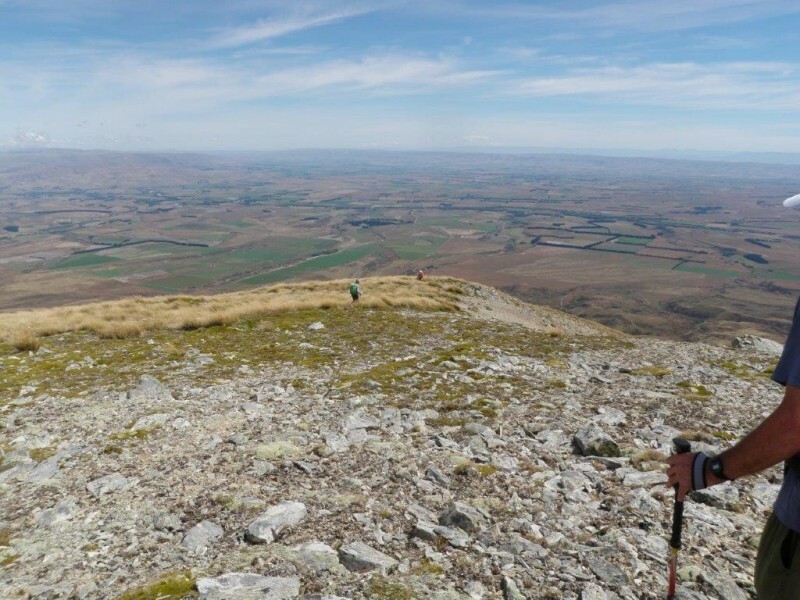 After about 1 ½ hours, four of the party stopped for a breather and drink on a flatter area before the steep climb to a rocky knob, while the other four headed straight for the knob. 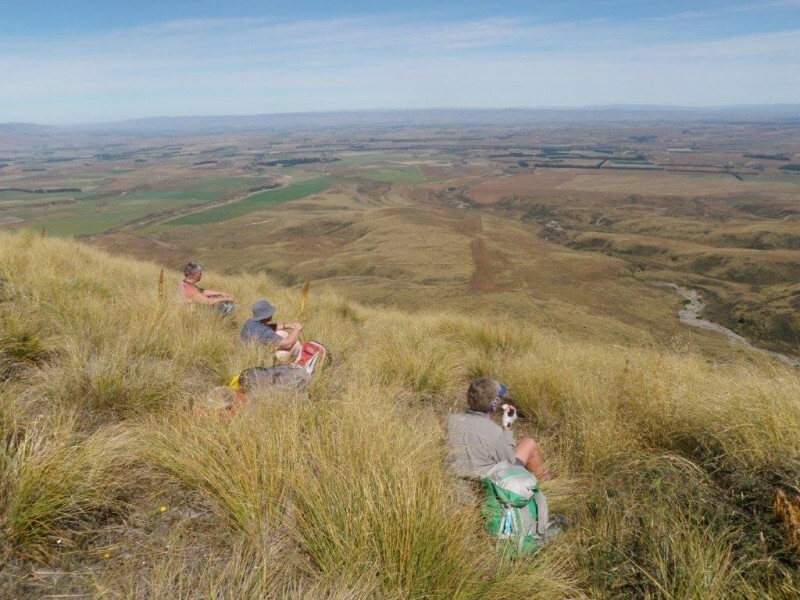 By 12 noon, the two groups met up at the rocky knob for another spell and to admire the huge spread of the Maniototo Plain below. 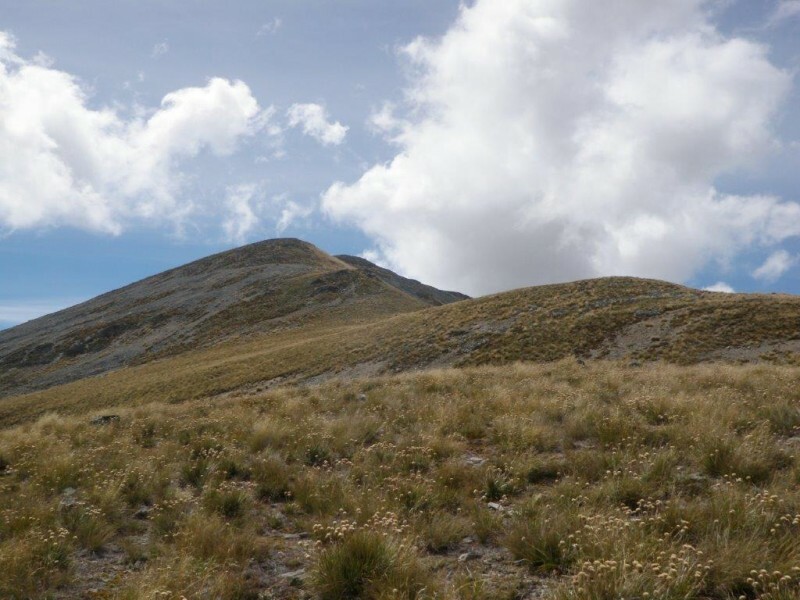 The next phase involved a series of steep climbs towards knobs, followed by short level stretches, then another climb to another knob etc. At one point the climb crossed a garden of Celmisias which must have been a picture when they were flowering only a couple of weeks earlier. 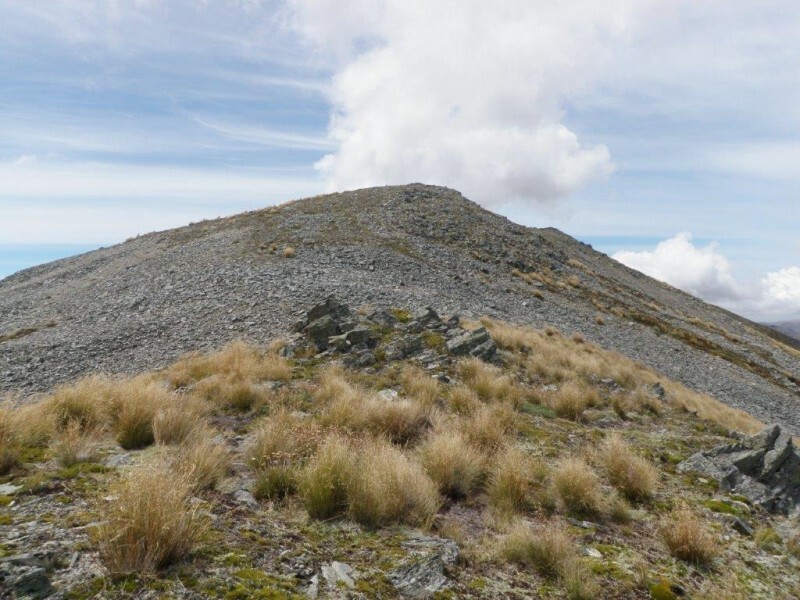 Finally, the climbing stopped and the last stretch covered a level rocky plateau leading to the craggy summit standing only a few metres above several other knobs along the plateau. 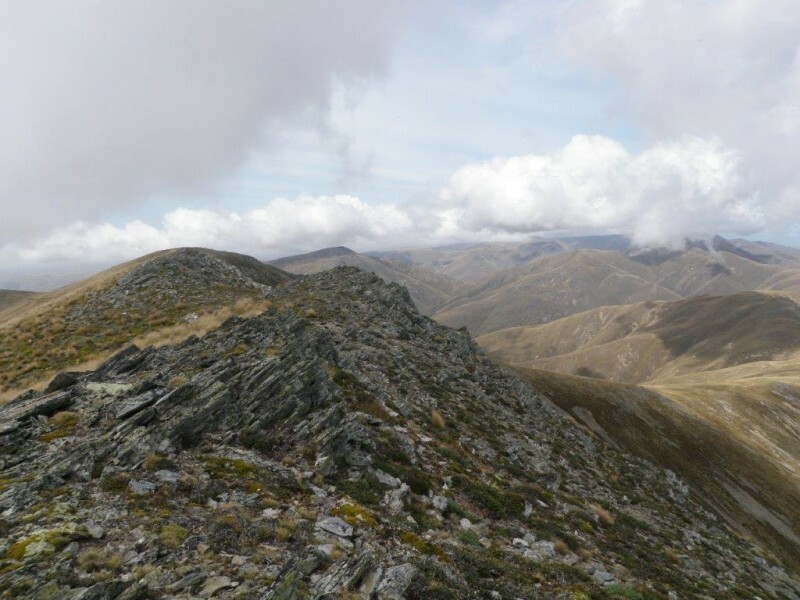 The first of the party reached the summit at around 1.15, the remainder arriving progressively until the last straggled in at 2 o’clock. 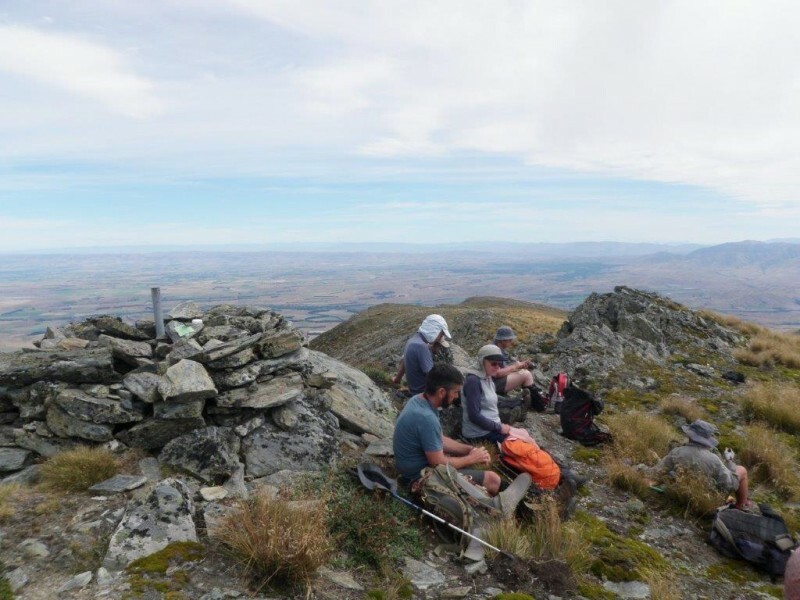 It was still warm despite the exposed nature of the summit, and lunch was consumed while admiring the 3600 views, listing names for the jar secreted in the rocks and computing the average age of the party, whose combined years totalled 511. 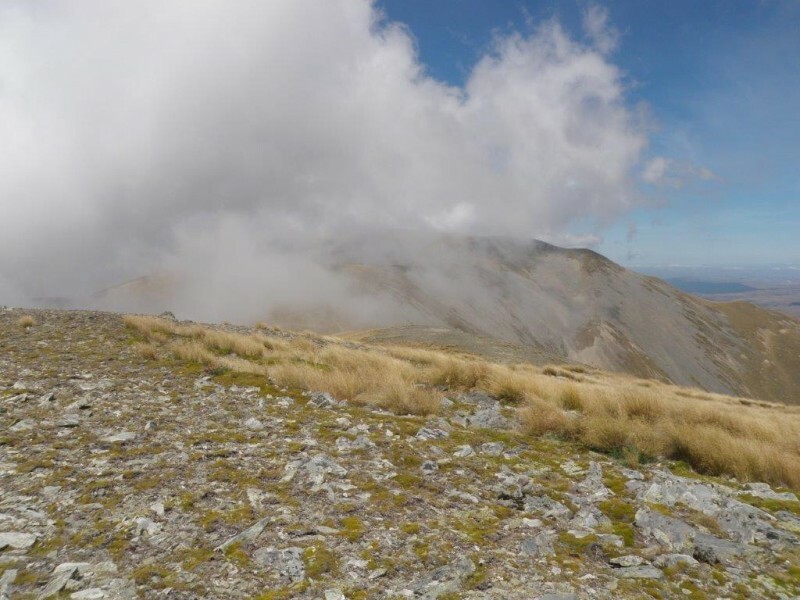 Fog could be seen approaching from the east and enveloping Kakanui Peak, which prompted a discussion about return route options before setting off about 2.30. 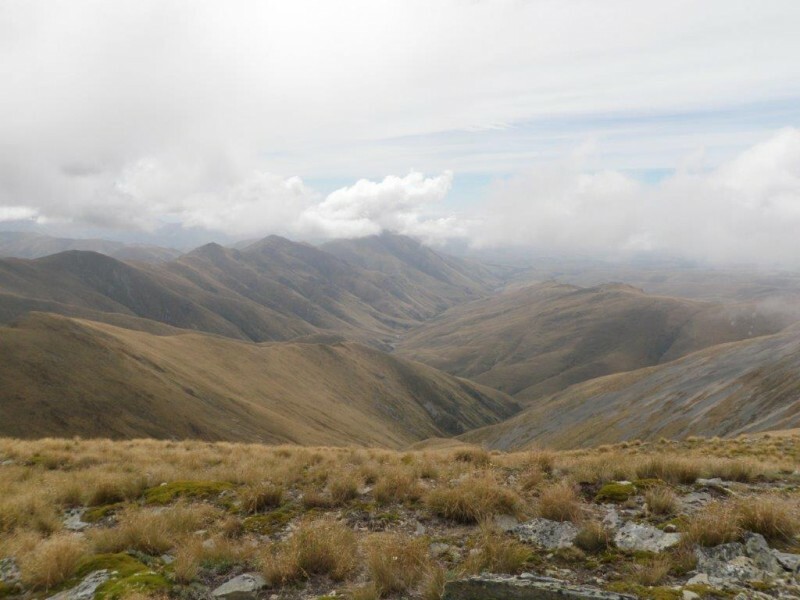 The return route involved walking northward along the 4wd track which traverses much of the Kakanuis’ main ridge, dropping down 100 metres into a dip and climbing up the other side to the top of the ridge immediately to the north of the one we had ascended. 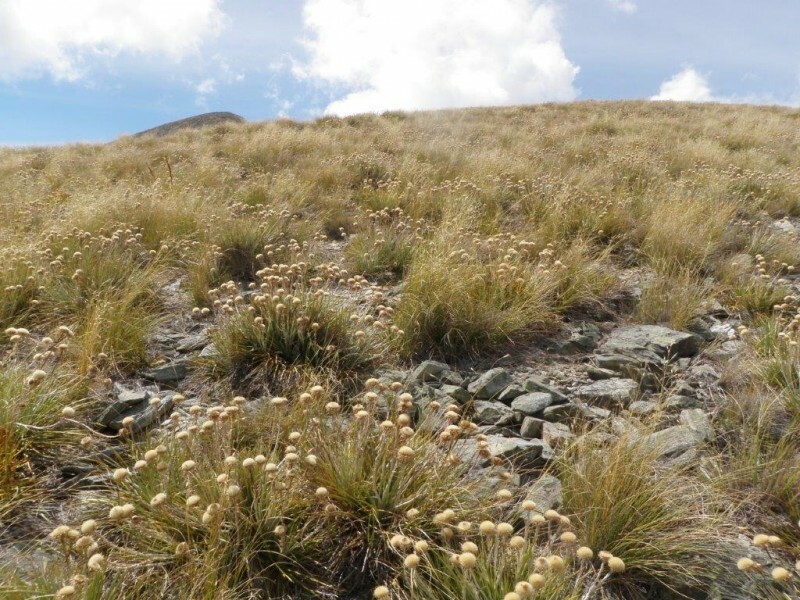 The descent from there was relatively straight forward: a steep descent through tussock and rock followed by a short level stretch to a knob, then another steep descent – this pattern being repeated seemingly innumerable times. On the way down a lone wilding pine was encountered and dispatched. 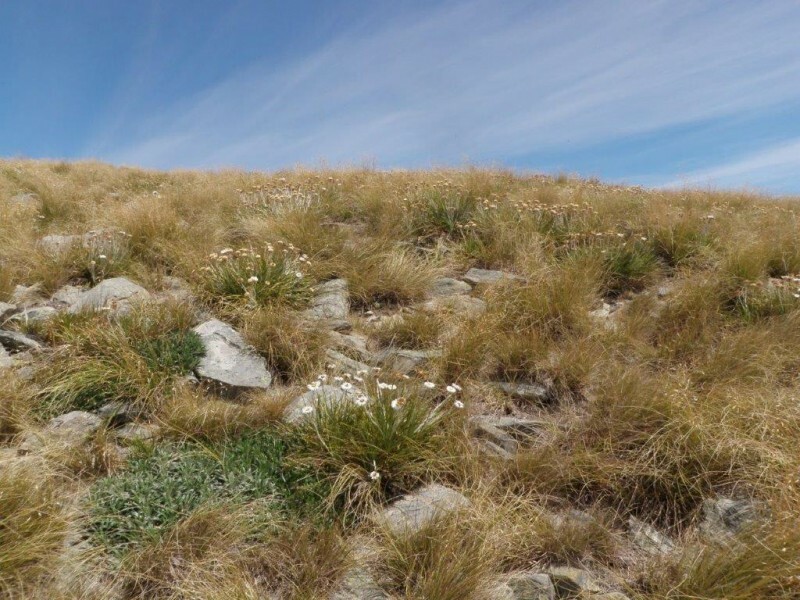 Finally the bottom was reached about 5.30pm by means of a steep sidle off the ridge to avoid a matagouri patch. This led to a stream which enabled water supplies to be replenished, then up the bank on the other side to follow a fence which climbed back to meet the track down the gently sloping flats to the cars. Apart from one member who had taken a shorter route off the top and had been reclining in the shade for some time, the party reached the cars at 6 o’clock. 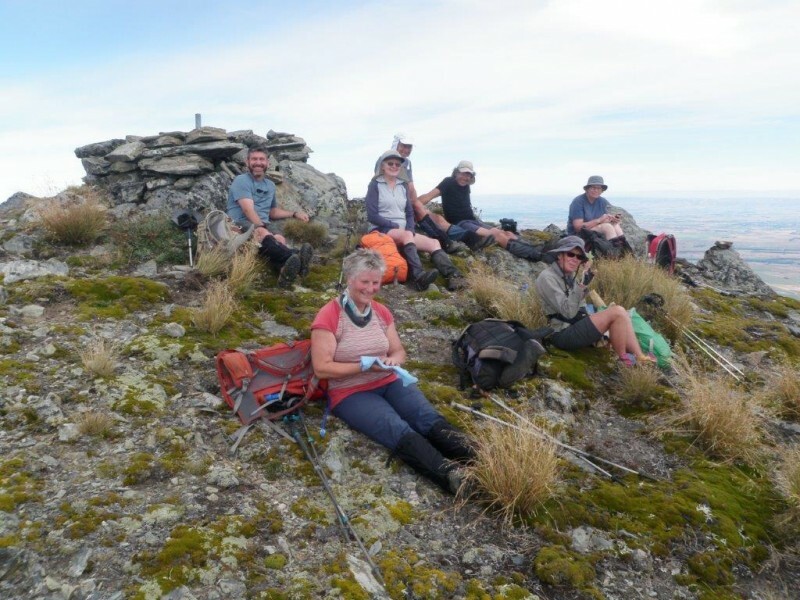 A long and hard day – over 8 hours, covering 14 ½ kms and climbing over 1000 metres – but a satisfying one for Maurice, Phyllis, Bess, Julian, Marian, Jane, Robbie and John.